But it wasn’t long before warmer climes called and Frey followed then-girlfriend Joan Silwin to Los Angeles. Her sister Alexandra was a member of Honey Ltd., a girl group associated with Nancy Sinatra producer Lee Hazelwood, and she introduced Frey to her friend John David Souther. It was a portentous introduction. Before long the two were living as roommates in East L.A. with another aspiring songwriter named Jackson Browne. All three quickly became deeply involved in the burgeoning L.A. country-rock scene centered around the Troubadour nightclub that started with the Byrds, proliferated with Gram Parsons and the Flying Burrito Brothers and would, in softer form, dominate American airwaves for the bulk of the 1970s. But first, Frey and Souther would pay their dues as an unsuccessful duo, Longbranch Pennywhistle. The pair released a self-titled album on the short-lived indie Amos Records in 1969, but soon split up. In 1971, fellow future country-rock superstar Linda Ronstadt was seeking a backing band and, on the advice of Souther, her boyfriend, hired Frey along with his friend, drummer Don Henley. On the night of their first show with Ronstadt, the ambitious and driven pair decided to form their own band and later recruited ex-Poco bassist Randy Meisner and former Burritos guitarist Bernie Leadon. The Eagles became one of the first artists signed to David Geffen’s then-new label, Asylum. The group was an instant success, riding on the back of its first single, “Take It Easy” — a song written almost entirely by Jackson Browne, with some lyrics added by Frey. Via a long string of mid ’70s hits like “Peaceful Easy Feeling,” “Desperado,” “Tequila Sunrise,” “Best of My Love” (No. 1 March 1975) “Witchy Woman” the funkier “One of These Nights” (No. 1 August 1975) and the harder-edged “Already Gone” (many written by bandmembers in collaboration with Souther), the Eagles became the standard-bearers — and Asylum Records became the epicenter — of the California soft-rock explosion. (Barney Hoskyns’ 2006 book Hotel California is an excellent history of that scene and the Eagles’ role in it.) Guitarist Don Felder filled out the band’s sound in 1974, and after Leadon left the following year, guitarist Joe Walsh joined – beefing up the band’s sound and lofting them to even greater heights with the 1976 “Hotel California” album, which spawned No. 1 singles with the title track and Frey’s “New Kid in Town,” possibly his defining song. Along with Fleetwood Mac’s Rumors, those albums defined the denim, drugs and decadence of the jet-setting late ’70s California rock scene. But drugs, egos and success soon took their toll, and it was some three years before the Eagles released a follow-up album with The Long Run. Spurred by the Hot 100 No. 1 single “Heartache Tonight,” the album was a commercial success — and helped bring the music industry out of a post-disco sales tailspin — but the band succumbed to infighting and split in 1980. Frey embarked on a successful solo career, enjoying a series of ’80s hits, the biggest of which were tied to soundtracks like Beverly Hills Cop (“The Heat Is On”) and Miami Vice (“You Belong to the City”). He was even a regular character on the latter show, portraying a guitar-playing smuggler named Jimmy Cole. But the Eagles’ solo hits began to dry up in the 1990s, and before long a reunion tour was masterminded by Irving Azoff, the group’s longtime manager. The tour’s title mocked the acrimony with which the group split up: “Hell Freezes Over.” The group continued to tour periodically — and lucratively — over the past two decades, releasing just scattered new material and focusing on solo works. In 2012, Frey released his first solo album since the 1990s, a collection of pop standards called After Hours. While the Eagles were reviled as much as they were revered during their heyday — a situation hilariously rendered in a scene in The Big Lebowski, when the title character is physically ejected from a taxi for asking the driver to turn off the radio when “Peaceful Easy Feeling” comes on — there’s no questioning the enduring quality of their hits or the freshness of their sound, particularly the keening harmonies of Henley, Frey and Meisner. But more lasting may be its success: For years the group’s 1976 collection Their Greatest Hits 1971-75 regularly swapped places with Michael Jackson’s Thriller as the top-selling album of all time — and has been certified a whopping 29 times platinum by the RIAA. Hotel California is certified 16 times platinum. Frey and Henley were the Eagles’ leaders and only two constant members, and it’s difficult to imagine the group continuing without him. Glenn Frey, a founding member and guitarist of the Eagles, one of the most popular and commercially successful artists of all time died January 18, 2016 in New York City after a courageous battle with Rheumatoid Arthritis, Acute Ulcerative Colitis and Pneumonia. He was 67. 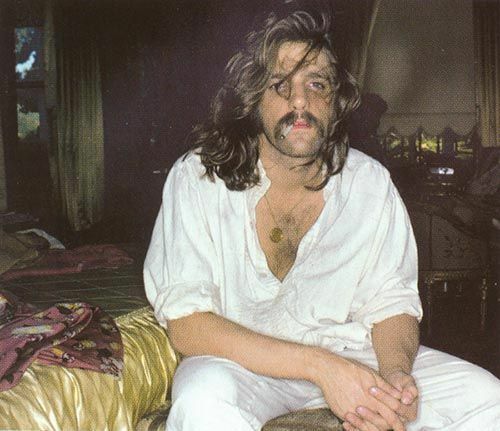 As a member of the Eagles, Glenn Frey won six Grammy Awards, and five American Music Awards. The Eagles were inducted into the Rock and Roll Hall of Fame in 1998, the first year they were nominated. Consolidating his solo recordings and those with the Eagles, Frey released 24 Top 40 singles on the Billboard Hot 100.